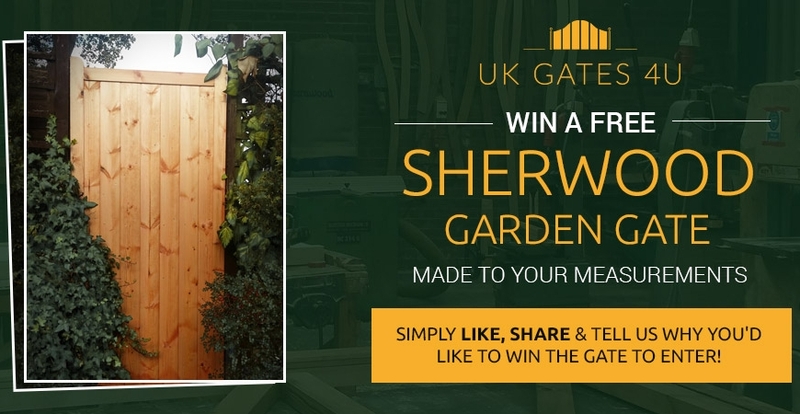 Blog | B&K Timber - Win a free Sherwood Garden Gate! Home / Blog | B&K Timber / Win a free Sherwood Garden Gate! The winner will be picked at random on 31st March 2016. The winner will be contacted within a week of the closing date. If the winner does not respond within 14 days of contact, the prize will be withdrawn and awarded to another winner. B&K Timber will require the measurements for your Sherwood Garden Gate. We will not be held responsible in the event of incorrect measurements being supplied. No cash alternative to the prize will be offered. The prize is not transferable. Prizes are subject to availability and we reserve the right to substitute any prize with another of equivalent value. This promotion is not sponsored, endorsed or administered by, or associated with Facebook in any way. In order to be eligible to win the competition, entrants must share a post promoting the competition and like the page.